TORONTO - Addiction experts are applauding Ontario's new restrictions on OxyContin and the drug replacing it, but say the country needs a national strategy to tackle widespread abuse of prescription painkillers. The province's decision to remove OxyContin and its successor from the list of drugs it routinely funds is a "very positive thing overall," said Dr. Irfan Dhalla of Toronto's St. Michael's Hospital. His research found the addition of long-acting oxycodone — the form contained in OxyContin — to Ontario's drug plan in 2000 coincided with a spike in opioid-related deaths. Imposing tighter controls on prescriptions "is not going to solve the problem by itself, but it's a major step forward," he said. The maker of OxyContin will stop manufacturing the drug in Canada at the end of the month and replace it with a new formulation called OxyNeo. Ontario health officials said Friday the new drug will be funded through the province's Exceptional Access Program, meaning prescriptions will fall under stricter regulations. As other provinces weigh whether to include OxyNeo in their formulary, experts such as Dhalla are urging Ottawa to take the lead in combating what has become a national health crisis. Benedikt Fischer, director of the Centre for Applied Research in Addictions and Mental Health at Simon Fraser University, said "concerted measures" could help prevent smuggling of the drug across provincial borders. "Let's say in Manitoba or in Quebec, the restrictions aren't there, there's a much higher supply and there's a great black market demand in Ontario, it's quite possible the stuff will come in from the neighbouring provinces," he said. "It's one reason why approaches to those kinds of measures in Canada should really be harmonized across the board," he said. Manitoba and British Columbia are among a handful of provinces that have yet to decide whether to fund OxyNeo once OxyContin is discontinued. Prince Edward Island and New Brunswick have chosen not to pay for the new drug, which is formulated to make abuse more difficult. Unlike OxyContin the tablet is hard to crush and when added to liquid it forms a thick gel that stops oxycodone from being extracted for injection. But that won't help those who have developed addictions to the drug in pill form, Fischer said. "They can still simply swallow it," he said. 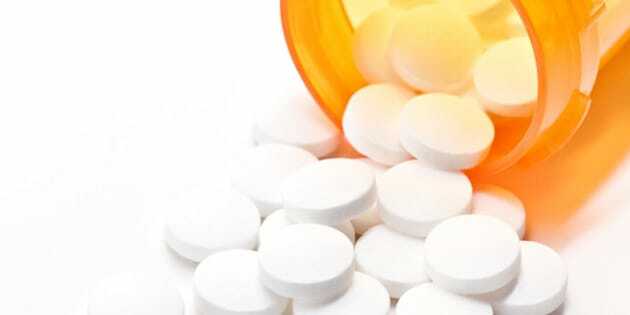 It's also possible addicts will turn to other painkillers or illicit drugs once OxyContin is off the market, he said. "One thing that's for sure is that those people who have dependence will not suddenly be cured of their dependence because of OxyContin disappearing," he said. "Those people who have dependence or are inclined to abuse will continue to do so, they will just have to adapt to the situation."